As FightNights.com previously reported, Matchroom Sport's Eddie Hearn, promoter of undefeated unified heavyweight world titleholder Anthony Joshua, is meeting with WBC titlist Deontay Wilder's representatives this week in New York to negotiate a potential deal for the undisputed heavyweight championship of the world. Now we know exactly when that meeting will take place. “I’m seeing Al (Haymon) and Shirley [Shelly Finkel] on Thursday, and hopefully we can try and make some progress on Joshua vs. Wilder," Hearn told Bad Left Hook's, Michael Woods. Hearn will be in New York this week to promote Daniel Jacobs vs. Maciej Sulecki, a 12-round, non-title bout to be held at Barclays Center in Brooklyn, New York on Saturday. It is also rumored that Joshua could face rising American prospect Jarrell Miller (20-0-1, 18 KO's) in August. Miller will return to the ring on HBO on the co-main event of Jacobs-Sulecki, when he faces the resilient Johann Duhaupas. Sources also previously told FightNights.com that if a deal is struck, Joshua and Wilder could square off in the ring as early as September 15 at Wembley Stadium. But sources close to Wilder question whether Hearn is serious about making the fight. The meeting could be an important first step to making it happen. The 2012 Olympic gold medalist has averaged around 82,000 tickets sold over his last three fights. Joshua (21-0, 20 KO's), 28, won a third heavyweight title belt with his victory over former titleholder Joseph Parker on March 31 in Cardiff, but his 100 percent knockout record was snapped, going the distance for the first time in his professional career. The bout did have its moments, but it was more of a tactical affair. Joshua-Parker had a peak audience of 379,000, while Wilder's last fight on March 3, an exhilarating 10th-round knockout of former interim titlist Luis Ortiz, had a peak audience of 1.2 million viewers. 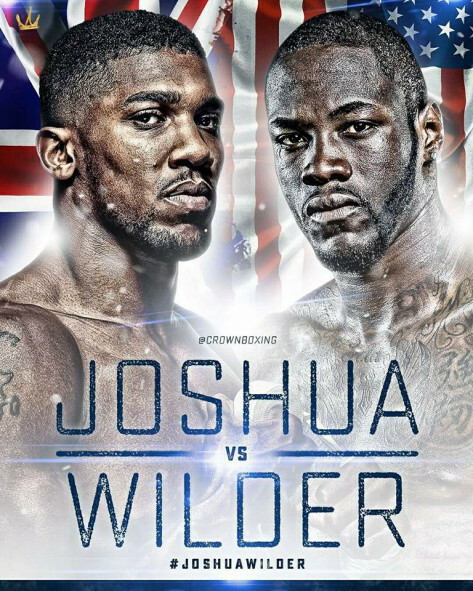 Wilder (40-0, 39 KO's), 32, of Tuscaloosa, Alabama, has also acknowledged that he is the B-side and is willing to take on Joshua in the United Kingdom. So what is the holdup? As usual, it is the promoters. Wilder previously rejected a $12.5 million flat fee to fight Joshua, and Hearn said last week that Wilder does not deserve any more than that amount. With that being said, do not be surprised if a deal is not made. Purse bids are also soon due for Joshua to face WBA "Regular" heavyweight champion Alexander Povetkin, who is coming off a brutal fifth-round knockout of David Price in March.